Night in Saigon is a program that encompasses all four of our main pillars: Friendship (through the long hours spent together planning, preparing, and executing the show), Community (connecting the Southeast region and connection the adult Vietnamese American community with the young Vietnamese American community), Culture (showcasing the beauty of the Vietnamese culture as well as the talents of our members), and Leadership (providing the opportunity for EBoard and directors to plan the show and general body members to participate by coordinating, choreographing, performing, planning, etc.). With more and more money being raised for the UNAVSA CPP each year, we want to be able to contribute to that number and also increase the number we raise every year. 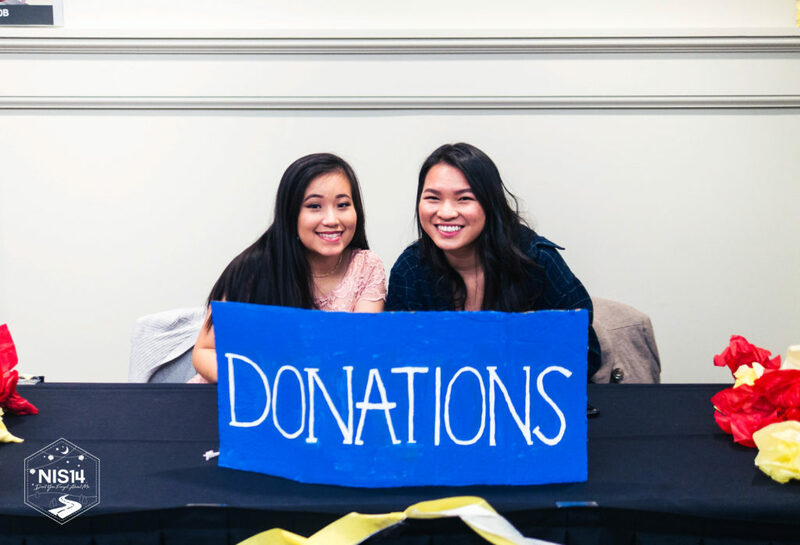 We believe that the profits from Night in Saigon will make a difference with the Pacific Links Foundation and truly believe that they’re a worthy cause to donate to, as is any UNAVSA CPP. The good thing about our organization’s members is that they don’t need too much motivation or incentive because they genuinely love Night in Saigon and VSA. However, I believe the main motivating factor for members is the friendships and bonds they form during the process as well as the happiness they feel when it finally all comes together the night of the show. When months of preparation come to light in one night, and that’s truly something amazing to witness. In addition to raising funds for the Pacific Links Foundation, we also raise awareness for them by highlighting their efforts in a five minute segment on stage during Night in Saigon as well as having a dedicated page to them in our program booklet. Additionally, we raised more funds by having different gifts to raffle off. 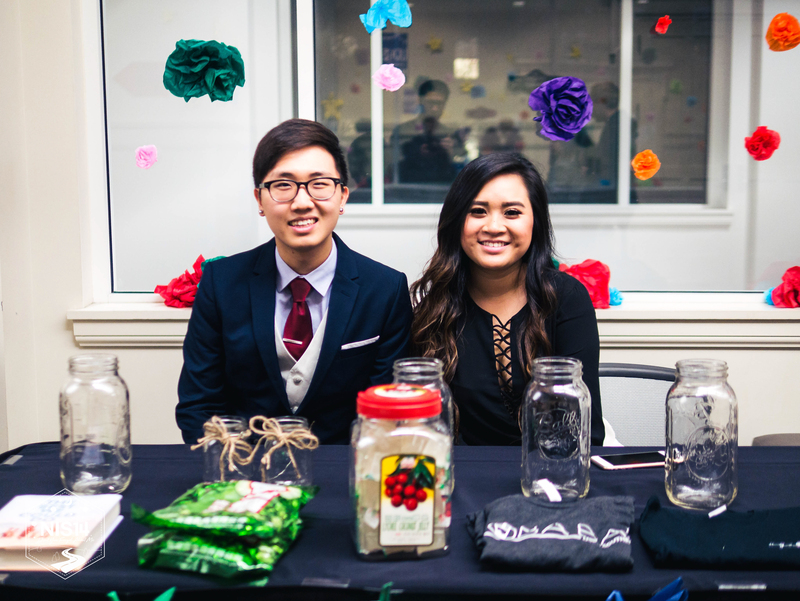 Each raffle ticket cost a dollar, and entered them into the raffle for a prize of their choice ranging from VSA merchandise to classic Vietnamese snacks and a signed book of “The Best We Could Do” by Thi Bui. 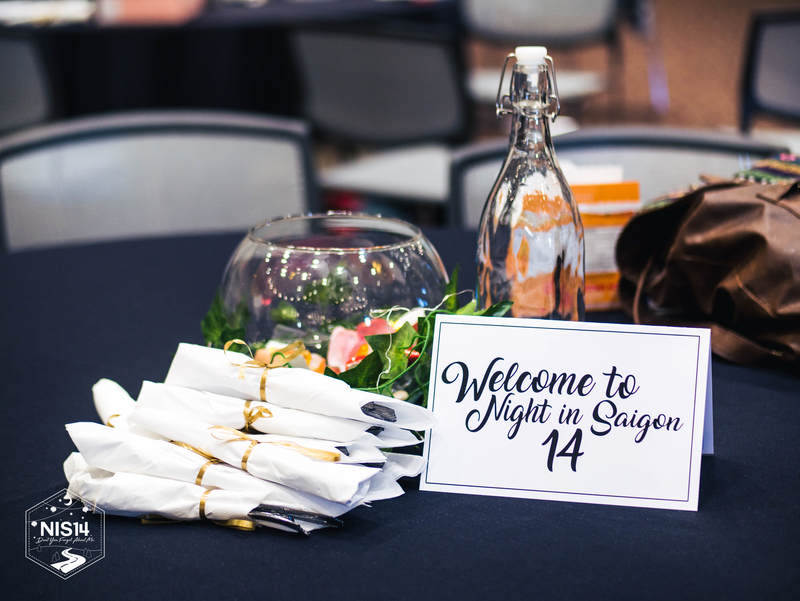 As a result of Night in Saigon 14, we exceeded both ticket sales and sponsorship goals. We surpassed our goal of $8500 ending up with over $11000 in sponsorship. In addition, with our sold out show, we collected nearly $8000 in ticket sales, exceeding our goal of $6500. We ended up with a profit of $14000, approximately doubled the year before, and the majority of that money will go towards Pacific Links Foundation (leads counter-trafficking efforts at the frontiers of Vietnam by increasing access to education, providing shelter, and enabling economic opportunities) and local non-profit organizations that promote and encourage professional and leadership development of young leaders. Following budgeting and organization expenses, we will be donating $6000 to Pacific Links Foundation this year, which is $1500 more than last year.